An exhibition entitled ‘Nelson Mandela, Bird of Liberty’ is being held at the Iran Artists Forum to commemorate the first anniversary of Mandela’s death. Iran has launched an international poster exhibition in the capital, Tehran, in honor of anti-apartheid legend Nelson Mandela. The exhibition entitled ‘Nelson Mandela, Bird of Liberty’ is being held at the Iran Artists Forum to commemorate the first anniversary of his death. Some 76 designs, selected out of 422 works submitted by 63 artists, are being showcased at the exhibition scheduled to run December 5-12. The posters represent countries including Spain, Germany, Argentina, Ecuador, Italy, England, the US, Peru, Turkey, Denmark and Japan. South Africa has marked the first anniversary of Nelson Mandela’s death at Freedom Park in Pretoria in remembrance of the country’s freedom icon. “South Africans have to continue building on Mandela’s legacy, which includes playing an active role in the international community,” said Minister of Science and Technology Naledi Pandor during a speech at the ceremony. 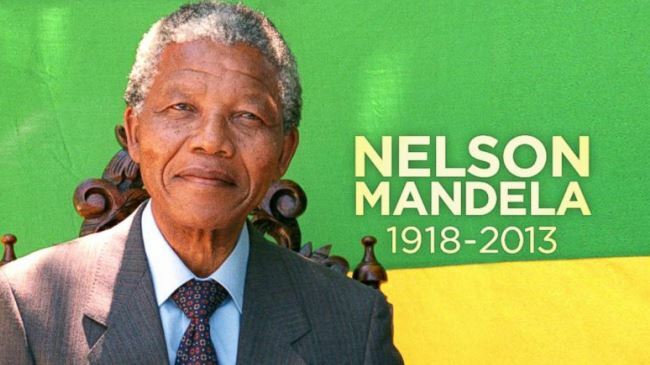 “Nelson Mandela might not be here any longer to guide South Africa, but for many, it’s hoped his positive memory can still have an impact on how the country develops,” Pandor also stated. South Africa’s former president passed away at age 95 in his Johannesburg home on December 5, 2013. After years of resistance against the apartheid rule in South Africa, Mandela was arrested in 1962. He was sentenced to life in prison, where he served over 27 years. Nelson Mandela served as president of South Africa from 1994 to 1999, and was the first South African president to be elected in a fully representative democratic election.